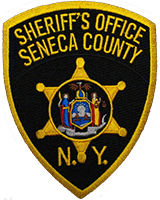 The Seneca County Sheriff’s Office reports that on 10/31/18 at approx. 8pm Sheriff’s Deputies arrested Mason A Bowen, 21, of 1155 Ninefoot Road Phelps NY . The arrest stems from an incident where Deputies were dispatched to a property damage accident on Nine foot Road in Junius , upon where the vehicle left the road and went out into a field . Upon arrival Deputies located the car but Bowen had fled the scene but was located a short time later. Upon investigation Deputies discovered that Bowen’s license was suspended and that he was intoxicated. Bowen was charged with Aggravated Unlicensed operation in the 1st degree, driving while intoxicated, driving with .08 of 1% or more, speed not reasonable and prudent, and failing to keep right. Bowen’s vehicle was towed from the scene. Bowen was turned over to corrections where he was arraigned at Centralized Arraignment Court, and ROR’d . Bowen is to appear in the Town Junius court at a later date to answer to the charges.